Asian spot prices for liquefied natural gas (LNG) rose for a second week, as interest from buyers returned amid a wide price disparity between spot and term prices. Most long-term LNG contracts in Asia are linked to oil prices and rising crude prices are likely causing buyers to seek more spot cargoes though no firm purchases could be confirmed, four trade sources said. Spot prices for May delivery to Northeast Asia climbed to $5.25 per million British thermal units (mmBtu) this week, up 75 cents, or nearly 17 percent, from the previous week, trade sources said. Prices for cargoes to be delivered in June are estimated to be higher at around $5.50 per mmBtu, the sources added. “The Brent rally could be causing more people to look for spot volumes which are cheaper than long-term contracts,” said one of the sources, a Singapore-based LNG trader. As of Friday morning, Brent crude oil prices have risen by 3 percent since April 1, supported by ongoing supply cuts led by the Organization of the Petroleum Exporting Countries and by U.S. sanctions on exporters Iran and Venezuela. European gas prices climbed earlier this week but have since eased slightly. Some interest for LNG was seen from Chinese buyers, two traders said, though inventories were said to be still quite high in the world’s second biggest LNG importer, after Japan. South Korea’s GS Energy is seeking a cargo for early June delivery in a tender that closes on Friday, two sources said. Buying interest was also seen from India with Indian Oil Corp seeking a cargo for delivery in second half of May into its newly commissioned Ennore terminal while Essar Steel had earlier sought a cargo for June delivery, they added. Australia’s Woodside Petroleum may have sold an early May cargo at just above $5 per mmBtu, an industry source said, though details of the buyer could not immediately be confirmed. Still, with supply still ample amid fresh offers in the spot market, traders do not expect prices to continue to rise sharply. 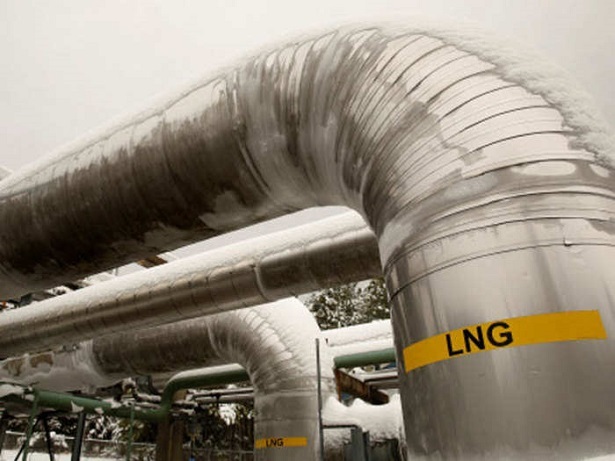 Papua New Guinea LNG plant has offered a cargo for delivery in second half of May while Angola LNG offered a cargo for mid-May delivery to a destination as far as Singapore, two trade sources said. The tender for the cargo, which was offered on a free-on-board (FOB) basis, closes next week. Cheniere Energy Inc returned two liquefaction trains at its Sabine Pass LNG export terminal in Louisiana in the United States to service, after planned maintenance, according to energy data provider Genscape.